Macular degeneration is a deterioration of the central retina called the macula. The macula is responsible for your central vision and the ability to see color and fine detail. There are two forms of macular degeneration, dry and wet. With dry macular degeneration a breakdown in the retinal pigment epithelium occurs, deposits called drusen develop in the retina and the tissue becomes thin and stops functioning properly. As the disease slowly progresses, central vision diminishes. This degeneration may be due to the natural aging process, increased UV exposure, smoking, poor diet and/or genetics (family history). Treatment consists of nutritional management, cessation of smoking, and UV protection. 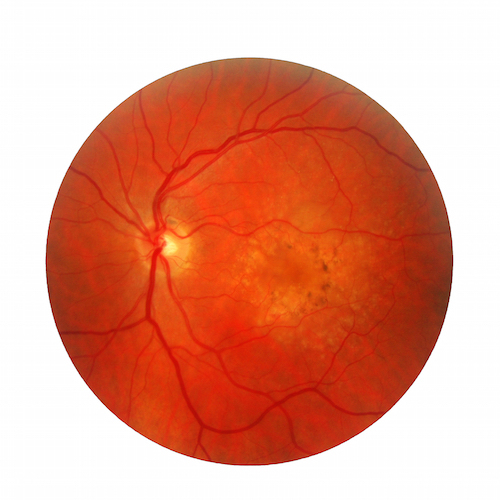 With wet macular degeneration fluid leaks from delicate abnormal blood vessels which have formed at the macula. This form is more serious and vision can decrease more rapidly. In recent years, new treatments consist of anti-vegF injections in the eye which reduce the fluid in the macula. Our doctors are trained to detect these changes and co-manage those patients requiring injections with retina specialists.